Very nice pair of Stilnovo sconces, Italy 1950. 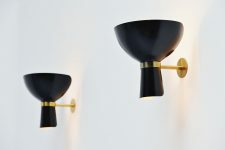 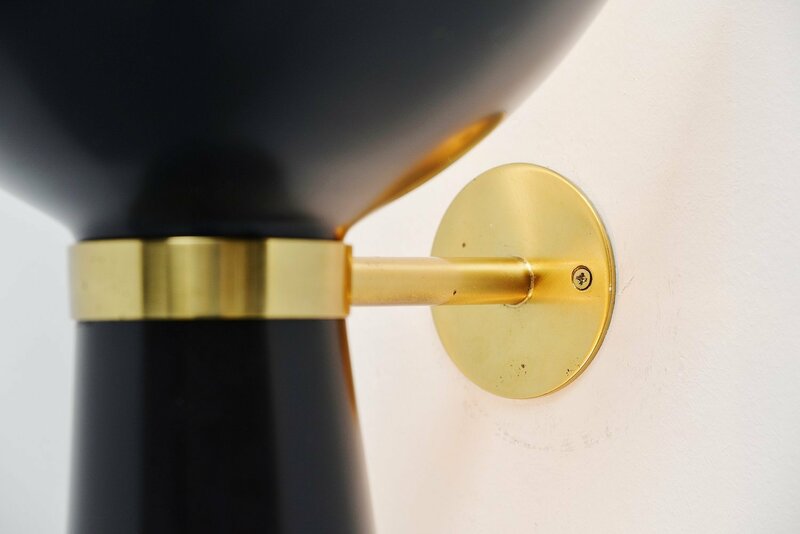 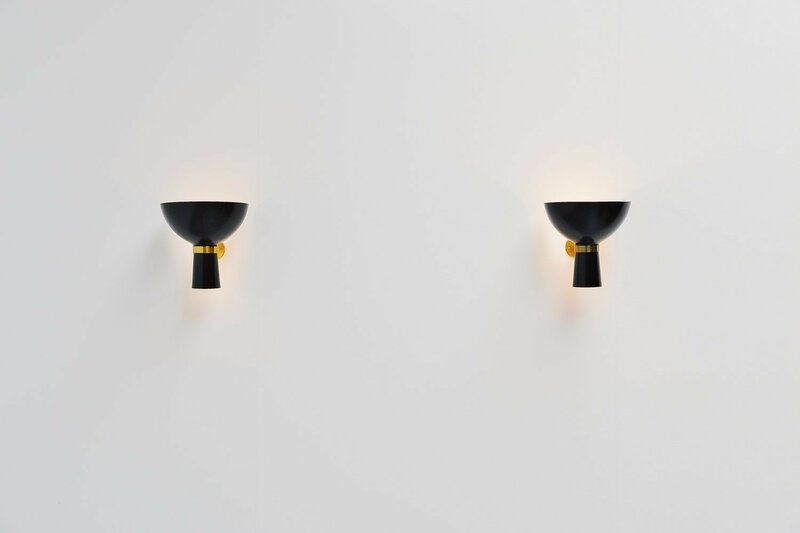 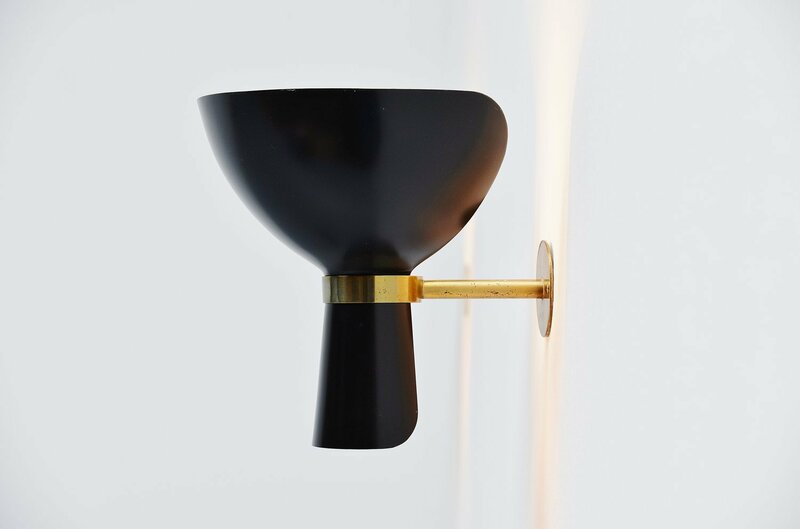 These amazing shaped wall lamps have a bit Serge Mouille shaped shades black lacquered and they have brass arms. These amazing lamps give very nice warm indirect diffused light. 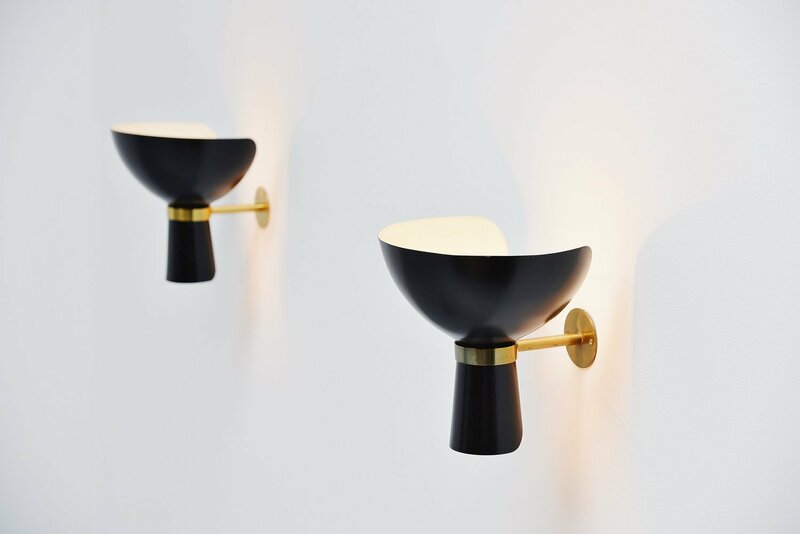 Easy to wall hang using only 2 screws per lamp. 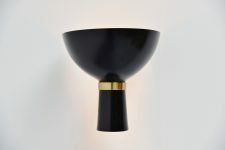 The shades have been professionally refinished in black cause they were in bad condition.